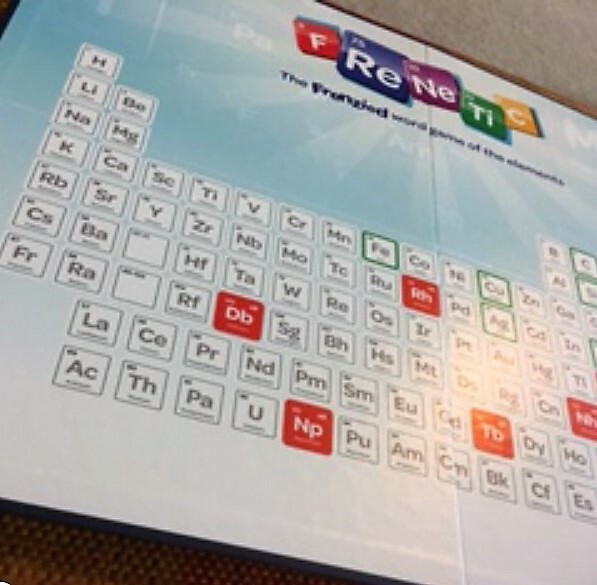 FReNeTiC is a board game which features the elements of the Periodic Table. 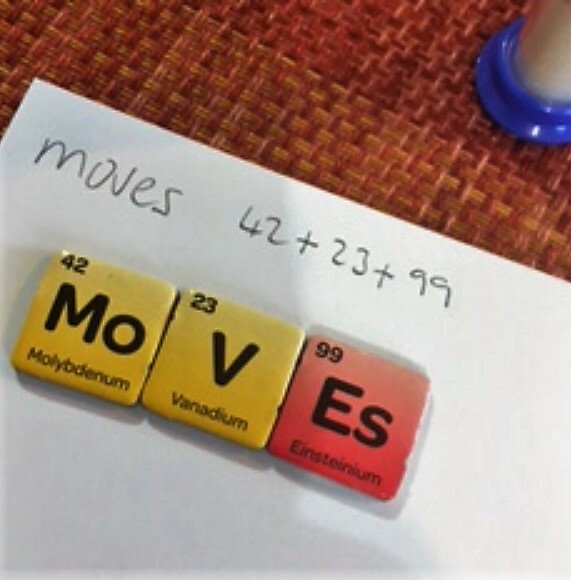 It sees players write down as many words as possible within 45 seconds from Element symbol tiles placed on the board. 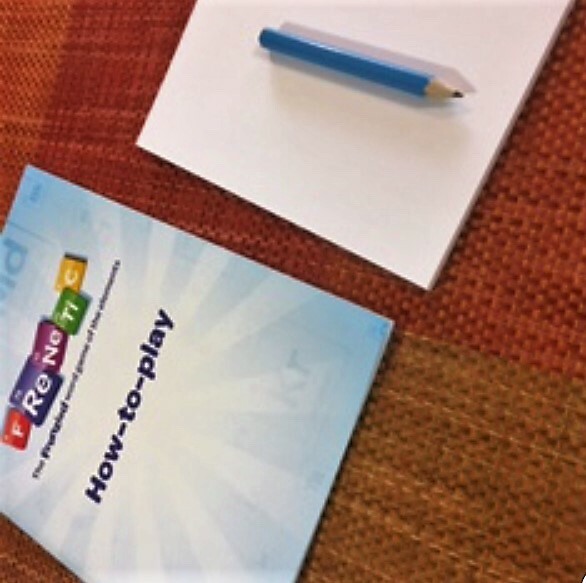 We recently received a copy to review and we also have one to giveaway! Suitable for ages 8+, couples, multiple players or teams. 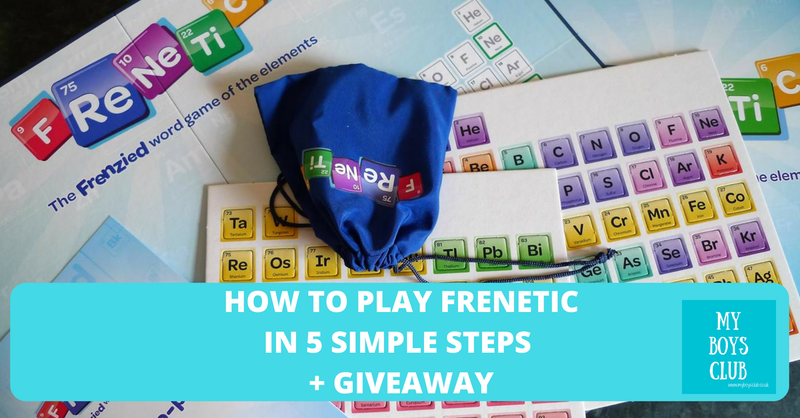 FReNeTiC combines fast, challenging and simultaneous gameplay with luck, skill and strategy. 1. To prepare make sure all players have a pencil and paper and that all 96 tiles are in the bag. 2. In round one the first player takes 8 tiles out of the bag and places them on matching squares on the board. All players try and make words out of the letters on the board – you get 45 seconds to do this. At this stage it’s actually not that likely to be able to make many, if any, words. 3. Add up scores as per numbers on tiles, and colours on board – double score is red for example. If you don’t know if it’s a word or not check online or in a dictionary. This won’t happen yet, but the winner is the first person to hit 1000! 4. To start round two, player 2 takes 4 tiles out of the bag and places them on the matching squares on the board. And play resumes, just with more letters to use. Letters must though be used in the order they appear. 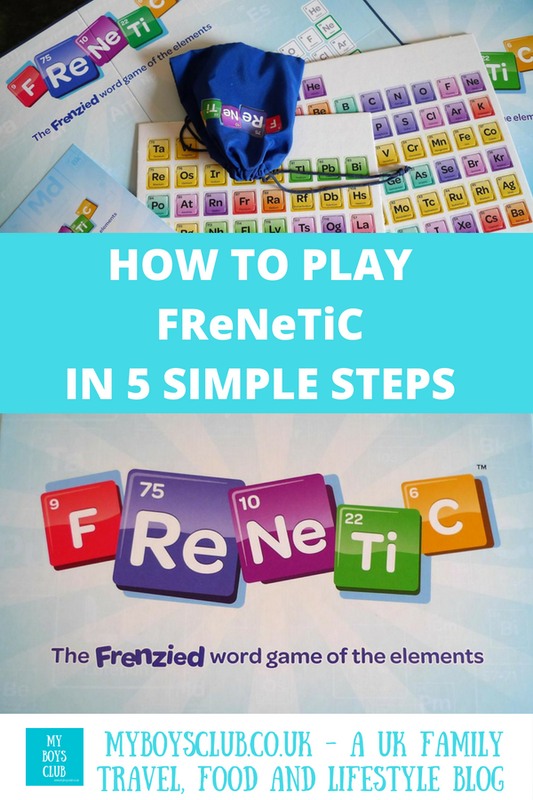 If a player chooses a ‘FReNetic’ tile – they keep it and it can be used once, but only once, to represent any square on the board. 5. Keep going until one player reaches 1000 points! And apparently, there are over 10,000 words that can be spelled using the letters from the element symbols in the Periodic Table. The game itself is aimed at over 8’s and I think it would be perfect for a group of adults but works equally well with over 8’s too. My boys enjoyed it more when they played with each other rather than with me as they found it more difficult to find words but still wanted to play again once they’d finished the game. It is a word-game frenzy that pits players against the clock - and the elements! 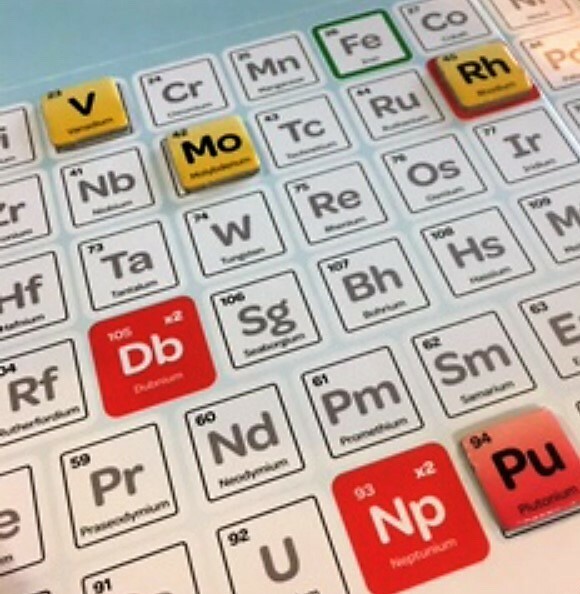 Racing to make words from symbols of the Periodic Table, it combines skill, luck and strategy as you score by adding together the atomic numbers of the elements you use. Where can I buy FReNeTiC? It is available in lots of toy stores and from Amazon. Please note this is an affiliate link. Disclosure: We were sent a complimentary copy of Frenetic to review.